“We know this film is already making a difference – we hear from people who see it that it made them recognize the addiction of a family member for the first time. We think it can reshape the national conversation about opioids and we are running a national Impact Campaign to bring it to communities across the country,” says Co-Producer and Director of Photography Rob Lyall. 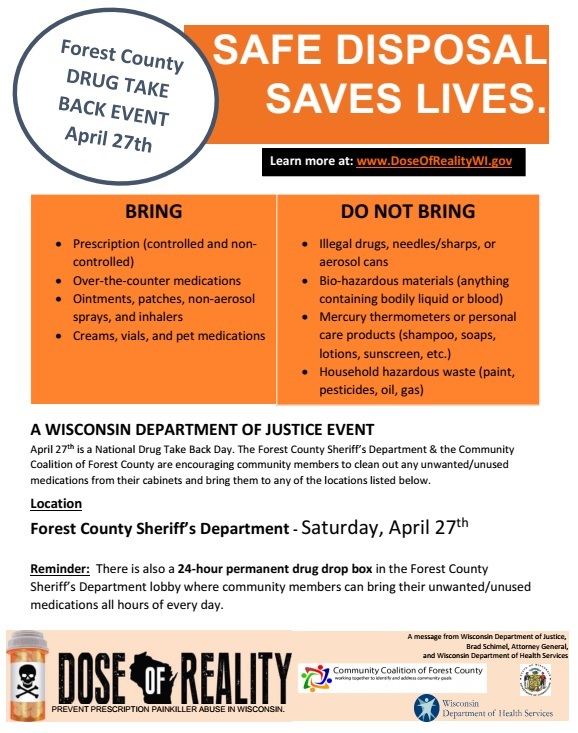 The Community Coalition of Forest County, with the help of its partners, will be hosting screenings of the documentary Written Off at different locations throughout Forest County. Please watch for advertising of the screenings in the coming weeks. 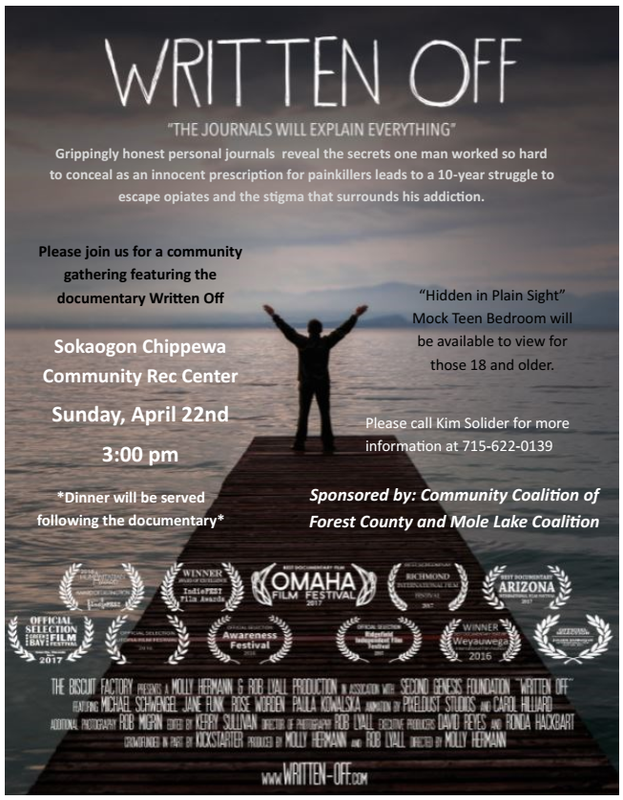 Our first screening, in conjunction with the Mole Lake Coalition, is scheduled for Sunday, April 22nd at the Sokaogon Chippewa community Rec center beginning at 3:00 p.m. The screening is recommended for ages 14 and up. Admission is free and no registration is required. Next Next post: Prescription Painkillers. After the pain, they’re just killers.